Good morning and thanks a lot for taking time to read English Plus blog! From July 1st, we started broadcasting bus announcement in Odaiba rainbow bus. Odaiba rainbow bus runs between Shinagawa/Tamachi and Odaiba. Our announcement is being broadcast on the way to Tamachi/Shinagawa from Odaiba between "Daiba 1-chome bus stop" and "Shibaura 3-chome bus stop." Actually, it's usually broadcast twice on the bus between them. 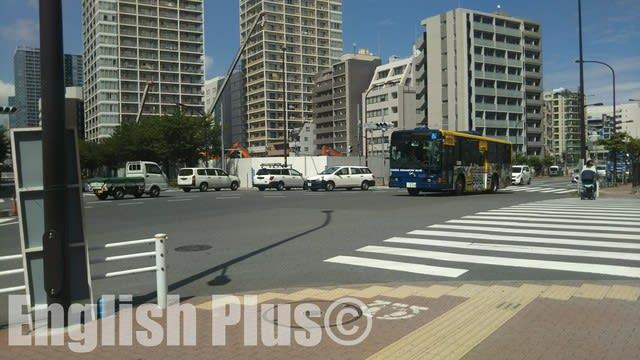 One is before Rainbow Bridge entrance, and the other is before Shibaura 3-chome bus stop. There are two routes with Odaiba rainbow bus, 01 and 02, but you can hear our advertisement on both of them. Our advertisement is broadcast in Japanese, but if I translate it in English, it's like this "Wow! I didn't know this kind of English school exists! You can feel the differences at English Plus. You can get to English Plus from the next stop." If you have a chance to get on Odaiba rainbow bridge, please check it out. 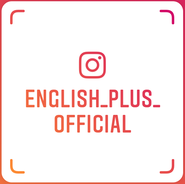 Please check out English Plus advertisement! 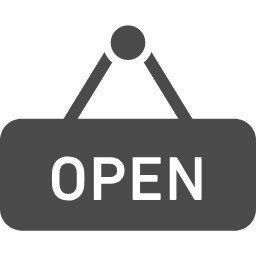 今日の英語での一言："Please check it out if you have a chance!"